Next Post Next post: Are You Saying It’s My Fault? Reblogged this on The Long Term Effects of Parental Alienation. Reblogged this on Mother Erased: a memoir. I know the woman behind these words. I am not speaking of the author, who did an excellent job putting into the words the psyche and perspective of an alienator. I speak of the woman who plays the alienator role in my life and in the lives of my three young kids who are caught up in this terrible whirlwind of lies, toxic words and sappy sweet contrivances of “love” meant to pull the wool over their young eyes. I liken being the parent who is being alienated to seeing your kids fall off a boat and slowly disappear into the depths. Their soundless pleas for help being engulfed in the craziness that surrounds them. Who will save the children?? What an amazing insight! This is EXACTLY what my children are experiencing. She could have penned these words herself, were she even aware of the truth of herself. I believe that, in her own way, she really does love our children. But only in the way that you love your eyes, your legs, your hair. If anyone tried to take these things from you, even just part time, even if they had as much right to them as you, you would feel threatened. But if these things no longer functioned to serve you, you would cast them off. 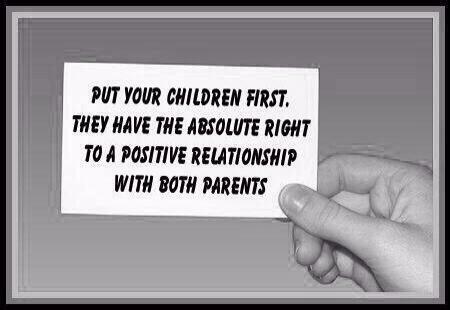 So it is with the alienator and our children. In her eyes, they are not simply HERS, they are HER. So the damage she does to them is not damage, it is protection. But the damage is real. And my pain is real.